I have quite a few projects in plastic boxes and I really want to start new things. Since I am a hand quilter, it takes time but then so does sewing blocks together. I figure if I can just work on things a bit at a time, something will get finished eventually. I'm going to try to get this quilt put together. Right now it's just in pieces and it's been in pieces for a while. If I get the top all done, at least it can be put in the waiting line of things to be hand quilted. This was a freebie pattern from the Moose Jaw, Saskatchewan quilt store 'The Quilt Patch" called Auntie Alice. It's not big - about a lap quilt size. The pattern called for red but since I am not a red person, I dove into my navy blue scraps. The pattern also didn't dictate that I put darker squares into the 16-patch to make it directional. I just liked that idea. It's nice to be able to take a pattern and make it your own. I managed to sew up another block on Quilt Doodle Doodle's BOM. I think I have two more rows to complete and then the whole top will be done. I fell behind because I went to BC for a while and I am thinking of revising one of the rows. 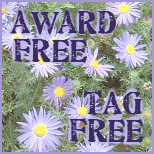 Lovely with the blue shades, and your block, greens go so well with the background. Happy stitching, Jean. Hi Dolores! 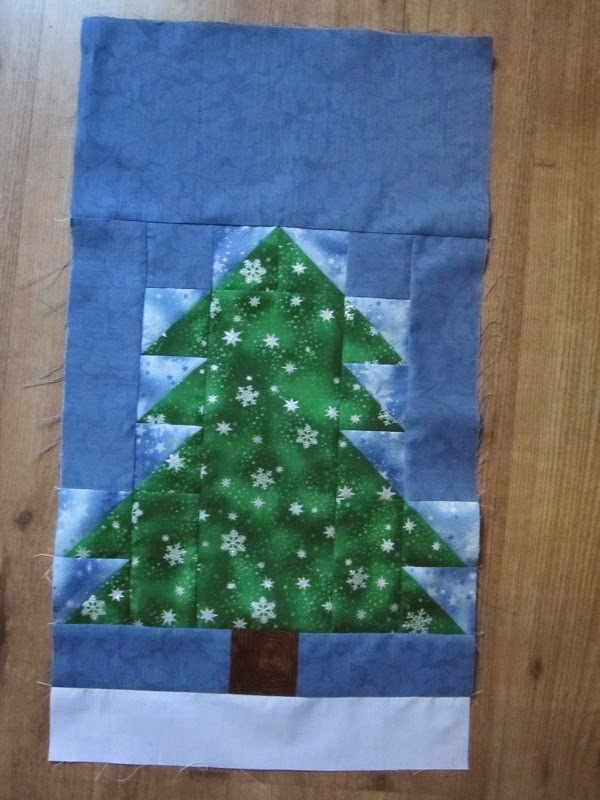 I jut love your scrappy quilt and the tree quilt, with your own spin on it, looks like such fun. Slow and steady wins the race! Bit by bit always works for me. 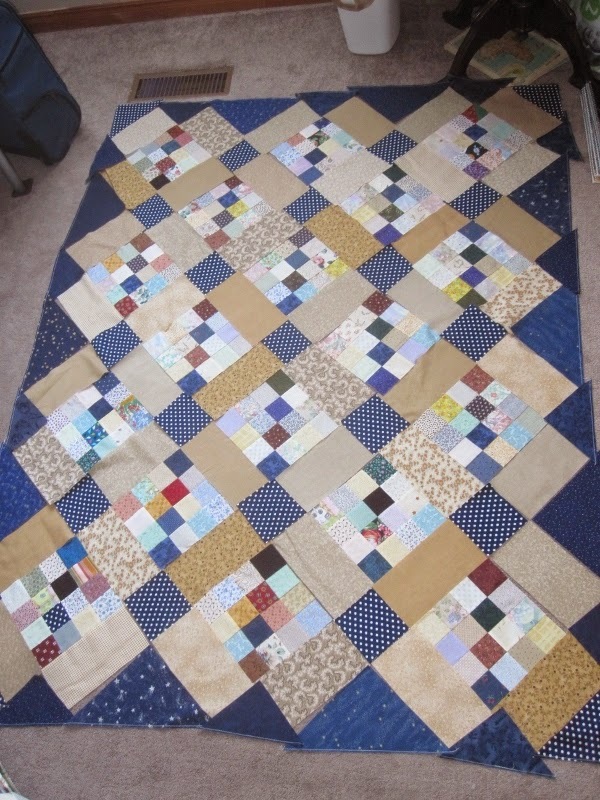 The blue lap quilt is lovely! I didn't see the original quilt but I sure love your version , the blues are perfect!